Samsung’s Smart Switch is a unique tool for transferring data from an old device to your new Galaxy phone, but it also offers a way to update your phone quickly and easily. Here’s how. Smart Switch is Samsung’s tool for quickly and easily transitioning from an old phone—be it Android, Windows Phone (haha), or even an iPhone. It helps users bring all their important data from an old phone to their new Galaxy handset. It’s available as an Android app for direct Android-to-Android transfers, but the PC or Mac app is more fully featured. 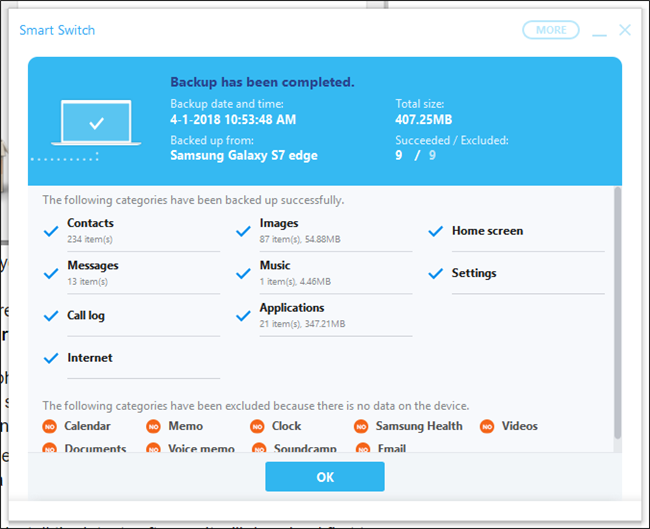 For example, you can use it as a backup tool for a Galaxy handset, offering the option to back up all important data from the phone to a PC. It also has an option to encrypt said data, keeping it safe and secure. But Smart Switch for PC or Mac also offers a quick and easy way to update your Galaxy handset. While it doesn’t necessarily bypass carrier approval or some such to get you updated quicker, it does offer a way to skip the line when you know your carrier is pushing an update to your handset and you don’t have it yet. First things first—you’re going to need a copy of Smart Switch installed on your computer. Go ahead and grab the download from here and get it installed.